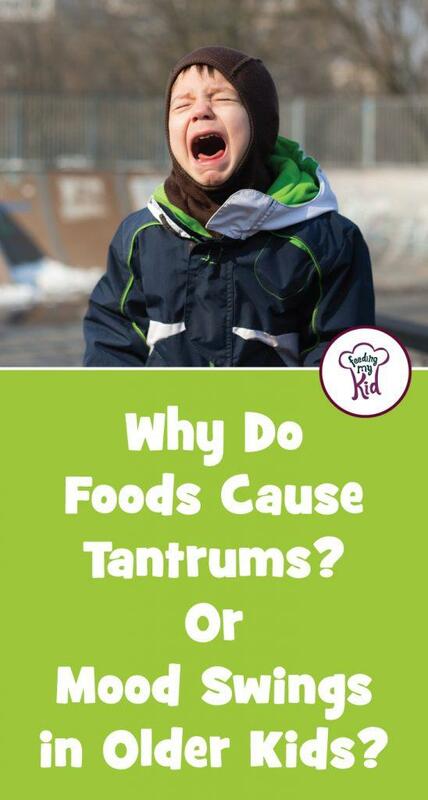 Why Do Foods Cause Temper Tantrums or Mood Swings in Kids? 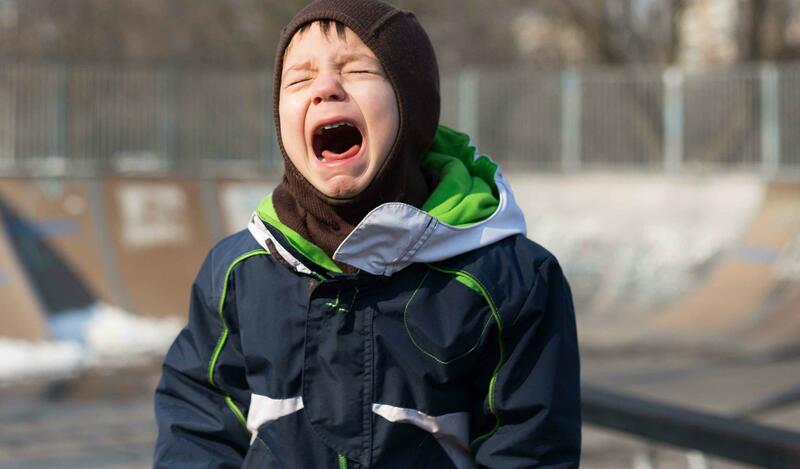 Home Articles Why Do Foods Cause Tantrums or Mood Swings in Kids? The terrible twos can follow a toddler into adolescence, but it may not just be a coincidence that your little one is getting upset after an afternoon snack. Temper tantrums are never fun. But did you know that they may easily be prevented by paying close attention to the foods your child is consuming? There are a number of food additives that can be harmful to your child. These additives can cause hyper-activity, lack of concentration, and for your child to lose their temper and flip-their-lid, as it were (1)! Such additives are certain food colors, sodium benzoate preservatives and the ever notorious and always-trouble-causing sugar! You may be surprised to learn that food coloring is actually linked to causing mood changes in kids. A recent study suggests that food dyes, such as those found in everyday foods, like Kraft Macaroni and cheese, Skittles and Cap’n Crunch cereals, can have a dramatic affect on child’s cognitive function, causing hyperactivity and loss of focus (1, 2). Think twice before you give your kids a bag of Skittles! They may enjoy it at first, but you won’t be enjoying the effects later. Sodium Benzoate is a preservative found in many foods and sodas. In the very same study that found that food dyes were mood-altering, sodium benzoate was also noted as a culprit that was linked to causing kid’s to lose focus (3). You can find Sodium Benzoate most often in juices and soft drinks. Sugar is always making the news. 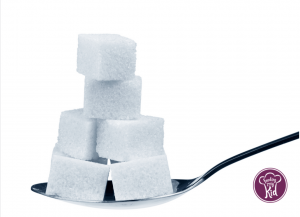 From diabetes to obesity, sugar is notorious for causing trouble when not consumed in reasonable amounts. but the company has matched that by adding fake sugar to sweeten it up even more! Sugar can be found in ketchup, other condiments, salad dressing, yogurts (one of the biggest culprits), cereals, granola and cereal bars, tomato sauce, etc. Things that are labeled fat free or low fat are usually jam packed with added sugar to make up the loss of flavor from the removed fat. When your kid is consuming large amounts of sugar, he is beginning a very complex process which will spike his insulin level and set his liver on over-drive (4)! This process will throw off your child’s system, making him hyperactive and moody. At first, he will become hyperactive—or as parents call it “He’ll be bouncing off walls!”—but then, he’ll grow lethargic… the downward spiral to irritable town. Sugar isn’t only mood-altering, but it is addictive… which is why it can be trouble when you try and take your kids off it! Try and regulate their intake of sugar. Trust us when we say, you’ll be happy that you did! Sugar is keen at throwing off the body’s systems. But how do we keep our children’s body system on track? Some highly nutritional foods, such as superfoods that help boost cognitive function, also help maintain a steady insulin level in the body. They won’t break down into sugars instantly, and they are the sorts of foods your child should already be consuming. Whether it’s oatmeal that is slow to digest, or blueberries which are good for thinking—there are plenty of healthy alternatives that kids can have that will help even out their mood and keep them regular in all types of ways (4). their insulin levels and cause those dangerous “ups” and those spiraling “downs” that sugar and simple carbs do (5). 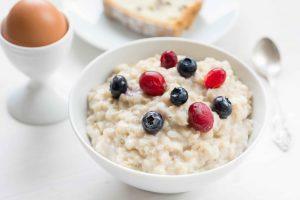 Avoid sugary cereals, muffins and juice for breakfast to avoid the sugar dip a few hours later. You can find these right in our Amazon store by clicking the links above! 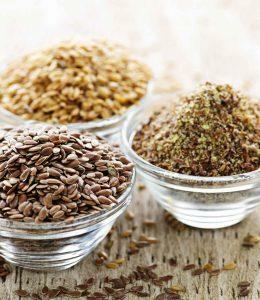 A recent study among New Zealanders confirms that foods high in Omega-3 actually help level out people’s moods. Foods such as salmon, can help regulate mental health (6). Other foods that can help maintain a healthy brain and regulate your child’s moods include broccoli, avocado and kidney beans (6). A fun way to help regulate your children’s food intake to be sure they aren’t eating too many foods high in dyes, preservatives and sugars is to play a part in their mealtime preparation—as well as making them a part of it. Have fun theme nights, or let them be introduced to new, healthier foods by having a topping bar, a mixture of many foods all placed buffet-style in front of them. By starting the week with a meal plan, you’ll be less likely to offer your child a processed meal, which will reduce the amount of preservatives, food coloring and sugars your child eats. Always be sure to make meal time fun and they’ll be more open to having new and healthier foods! So remember, there are a number of factors that can affect your child’s mood, diet being the most significant. It is really important to check nutrition labels and to constantly be aware of the potential risks associated with heavily processed, dye-laden foods. Being aware is the first step to fixing the problem. Then the next step is to create a healthier alternative for the unhealthy foods they are eating. Don’t forget to focus on keeping your child’s mood levels regular with healthier food options that won’t spike your child’s insulin level and alter their focus. If you stay focused on your task at hand, then your kids will stay focused, too! Food Matters: Which Food Additives Make Children Behave Badly? 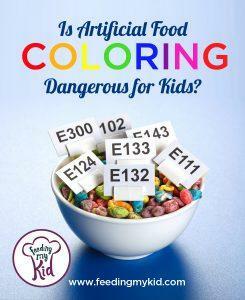 Feeding My Kid: Is Artificial Food Coloring Dangerous for Kids? 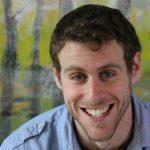 Live Strong: How Do Foods Affect the Moods of Children?